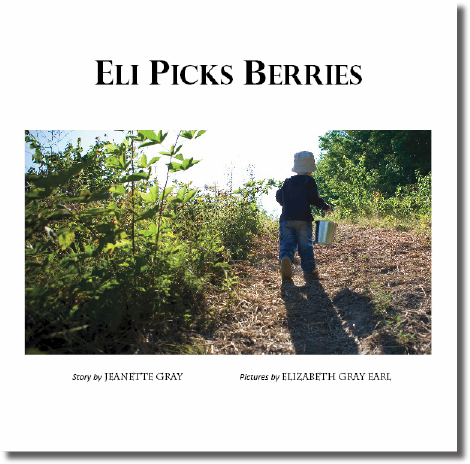 Eli Picks Berries is the story of a young boy going blackberry picking for the first time. He learns to watch out for sharp thorns and that the black berries are the ripe ones. He also finds out just how many berries Mom needs to make a blackberry tart!